From the onset in 2010, Wild Love Preserve has been a WE project. Together, we succeed on behalf of our collective well-being and future generations. 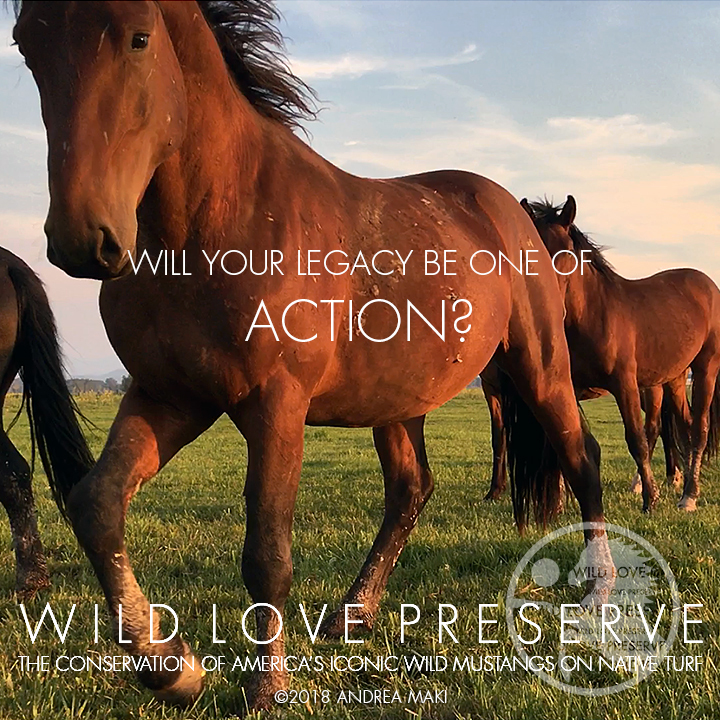 Wild Love Preserve's Legacy Campaign is multi-tiered to raise project funding for operations and the acquisition of Wild Love Preserve's 10,000-acre permanently protected wildlife preserve in the heart of Idaho wild horse country. We invite you to join us on this epic adventure to ensure a legacy of lasting wildness for Idaho's wild horses and wild places. Wild Love Preserve’s legacy project includes the creation of our 10,000-acre wildlife preserve in the heart of Idaho's wild horse country, which is teeming with native wildlife and will serve as permanent home to our current 136 Challis-Idaho wild horses and future Idaho wild horses. This remarkable wild expanse is central to our work and will be protected in perpetuity, ensuring the lasting wildness of this indigenous environment as an interconnected whole for future generations. We’re working to raise the initial funding to secure this land acquisition so we can move WLP operations from our leased 400-acres to our permanent home, and prepare for Idaho wild horses not otherwise adopted from the upcoming Fall 2019 helicopter roundup of the Challis Herd. That which we do today, shapes our tomorrow, and by working together we are ensuring a lasting legacy of wildness for Idaho's wild horses and wild places.